You are here: Home / US Powerball News / Pick your US Powerball winning numbers! Pick your US Powerball winning numbers! Good news for the many, many British fans of the mighty American Powerball lottery: the jackpot rolled over for the sixth successive time and has now reached a jackpot amount that consists of nine figures! 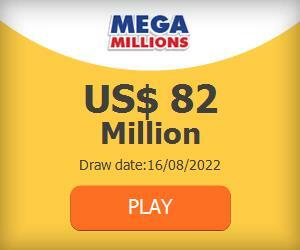 Yes, you have the chance to win $100 million this coming Wednesday! How is that for a bit of mid-week lottery fun? It turns up the heat at the same time though, because now you are forced to come up with your pick of US Powerball winning numbers before the next draw on Wednesday. That is, if you want to stand a chance of winning $100 million! Don’t taker this the wrong way: there is much to love in the UK for a British lottery lover! There is the fabulous EuroMillions lottery, the UK Lotto, the Thunderball Lotto – just to name a few. But although the jackpots in these lotteries (especially the EuroMillions one) can grow into enormous amounts, they simply cannot compete with the jackpot amounts that are regularly at stake in American lotteries, especially the US Powerball lottery and it its biggest competitor, US Mega Millions. Both these lottery giants offer one giant jackpot after the other, and both have crossed the $500 million mark on several occasions! The last time this happened was earlier this year, when the Powerball jackpot reached an amazing height of $564 million before it was won! We are not even close to reaching an amount like that in the current Powerball rollover series, but the first big hurdle, reaching the nine figures, has been successfully overcome! Where will this end? The jackpot was able to roll over once again because no player managed to correctly predict the winning numbers, which were 27, 29, 34, 41 and 44. Powerball number 2 and Power Play x3 completed the draw results. Secondary prize winners that opted to activate the Power Play multiplier feature tripled their prize amounts! Except of course the second place prize winners, of which there were two (one from California, one from Puerto Rico), who double their prize when they chose to play with the Power Play activated, taking $2 million home instead of the default $1 million! It is time to prepare for the next draw, and you still have two days to do so. So take a moment to overthink you strategy and your lucky numbers. Once you are confident you picked the right US Powerball winning numbers, play US Powerball online! It is time a UK player wins the world’s biggest jackpot! Come on you lads!